Welcome to Truelight FM, a 24 hour radio station that you can rely upon for sound Bible teaching and a variety of pleasant music. If you have any questions or comments then feel free to contact us and we will be pleased to hear from you and to respond appropriately. True Light FM is a registered non-profit organisation, dedicated to sharing the good news of Jesus Christ with a needy world. In 1998 Lindsay Shotton came to the conviction that the Lord was directing him to commence broadcasting Christian music and Bible teaching programmes. At that time it seemed an impossible task, but when the Lord calls a person to a task He also provides and enables. As a small group prayed about the project, Lindsay was brought into contact with two men, one a radio station manager, and the other an electronics expert who built transmitters. They provided the encouragement and advice needed at that time. What should the station be called? The name chosen was True Light FM, from John’s Gospel Chapter 1 and verse 9. The decision to go ahead having been made, a local church agreed to provide a suitable room for a studio. A number of helpers also freely gave their time and labour to do the practical tasks of building equipment, etc. 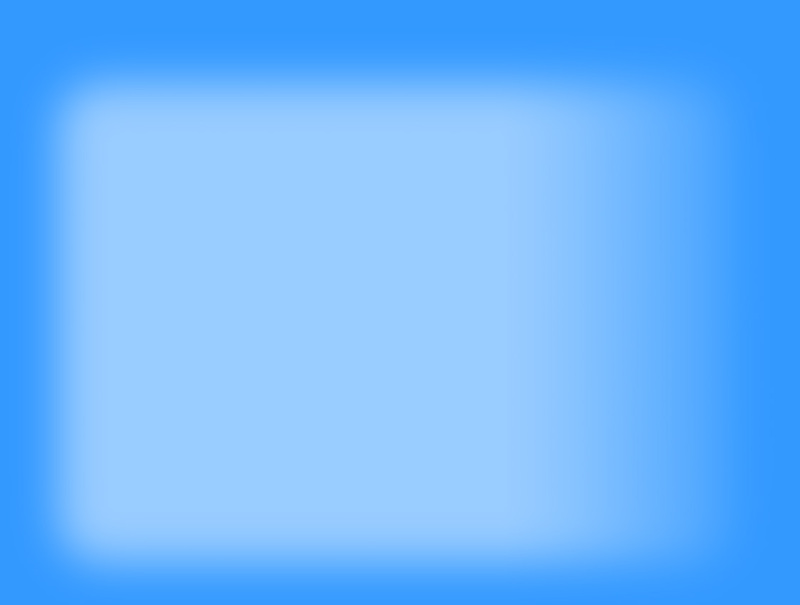 True Light FM went to air on 15 November 2001, and has moved steadily ahead since that time, but not without opposition. A Trust was formed and True Light FM became a registered non-profit organisation on 1 February 2003. Then, in 2007 the station became an Incorporated Society. At each stage the Lord has provided for every need, both in personnel and equipment. Listener response has been encouraging and continues to increase. Advances in computer technology have brought many changes to the practical aspects of broadcasting, and since 2008 True Light FM has been streaming its signal to a wider audience through the internet. True Light FM looks to the future, conscious that the Lord who called the work into being will direct and use it for His glory, and for the extension of His Kingdom. Rev Robert Aiken did his theological training with the Congregational Union of Ireland at the Belfast Bible College. Upon finishing his training he worked for a while as a missioner in Scotland. Since 1983 he has been ministering in various Congregational churches in Australia. He is currently Minister of The Sovereign Grace Bible Church in Sydney (formerly Ryde Congregational Church). 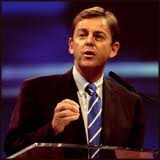 Rev Alistair Begg is a Scot who, after training in London, became assistant pastor at Charlotte Chapel, Edinburgh, then Pastor of Hamilton Baptist Church, Glasgow. Since 1983 he has been the senior pastor of Parkside Church, Cleveland, Ohio. His radio ministry “Truth for Life” is broadcast in several countries. Rev Wally Behan is an Englishman who, after his conversion as an adult, entered the Anglican ministry. From 1991-2010 he was the senior minister at St John’s Latimer Square, Christchurch, New Zealand, where he exercised a very strong expository and evangelistic ministry. Now semi-retired he is part-time minister of the Anglican Church at Hanmer Springs. Pastor Dafydd Hughes did his theological training at the Evangelical Theological College of Wales then emigrated to New Zealand in 1996 to help establish Grace Baptist Church in Christchurch. After almost ten years of ministry there, he and his family moved to Palmerston North in 2006 where he continues to pastor Crosspoint Church. Dafydd is passionate about proclaiming Christ through the clear and faithful exposition of the word of God. 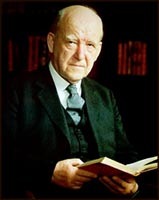 Dr David Martyn Lloyd-Jones was pastor of Westminster Chapel, London, from 1938 to 1968 and is widely regarded as the finest expository preacher of the 20th Century. His sermons throughout the UK were recorded on tape from about 1951 onwards, and were carefully digitally remastered and sensitively edited for radio under the title of “Living Grace”. The programmes which have been produced since the beginning of 2013 are now complete unedited sermons. Dr Lloyd-Jones is the author of many books, most of which are edited versions of his sermons. Dr Erwin Lutzer (Moody Church Hour, Running to Win, Songs in the Night) is a Canadian whose German parents were born in the Ukraine. He has been the senior pastor of Moody Church, Chicago, Illinois, since 1980. His radio programmes are broadcast widely around the world. In addition to all this he has a very extensive writing ministry. John MacArthur has been the senior pastor of Grace Community Church, Sun Valley, California, since 1969. Apart from his extensive preaching and radio programmes, he is also the author of many good Bible study books that have been translated into over ten languages. Dr Peter Masters has been the pastor of the Metropolitan Tabernacle (Spurgeon’s) London since 1969. During this time the church has grown dramatically as a result of faithful preaching and application of the Word of God to all areas of the Christian and Church life. Apart from his ministry to one of the largest churches in the UK, Dr Masters also has an extensive written ministry. Simon Manchester is an Australian who after his conversion in his late teens felt a call to the ministry. His theological study was done at Moore Theological College, Sydney. On completion of his studies he moved to the UK where he gained much valuable experience. He was an assistant minister at St Helen's Bishopsgate before becoming the Senior Minister at St Thomas' North Sydney where he has been since 1990. He and his wife Kathy have three adult children. He has a great love for proclaiming deep truths in simple terms and has spoken at a number of conventions. Dr Adrian Rogers was senior pastor of Bellevue Baptist Church, Memphis, Tennessee, from 1972 till his death in November 2005. He was elected three times as President of the Southern Baptist Convention. “Love Worth Finding” is his daily radio ministry which, according to his wish, although the messenger be dead the message still goes out. Dr. R.C. Sproul was a pastor and the founder and chairman of Ligonier Ministries. He wrote many books and his recordings are broadcast around the world. Dr. Zacharias was born in India in 1946 and immigrated to Canada with his family twenty years later. While pursuing a career in business management, his interest in theology grew. Ravi Zacharias is Founder and President of Ravi Zacharias International Ministries (RZIM), which began in 1984. Dr. Zacharias has spoken all over the world for 42 years. Lindsay came from an agricultural background in Victoria, Australia. He grew up on a wheat farming property and worked with his father for seven years. He spent another 12 years dairy farming on a small irrigation farm. 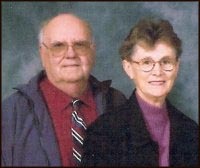 He married Eril in 1955 and they have three married children and six grandchildren. More recently, with the encouragement of friends, Lindsay commenced broadcasting on a low powered FM frequency in Palmerston North, New Zealand, setting up the Christian radio station “True Light FM”. Lindsay's autobiorgraphy, All or Nothing, tells more of the story of True Light FM and is available in audio format on the Living Water Ministry website, where other articles by Lindsay and Eril can also be found. Gore's documented history goes back to at least 1862. It was then a staging point for crossing the World Famous Trout Fishing Mataura River at a point called the Long Ford, which continues in the name of the Intermediate School in the town. The Borough of Gore was formed in 1885, named after Sir Thomas Gore Browne, a former Governor of New Zealand. Gore and the surrounding district has an area of about 1,250 sq km and a population of approximately 12,250 people. The land is as green as the eye can see with all types of farming including dairy, sheep, beef, deer and horticulture. The town services the rural adjoining land with trade and professional services. There are several different Churches in the Town which come together to work on common areas throughout the year. A TruelightFM re-broadcast station was established in 2011 and transmits from an elevated location over the town. The broadcasts are eagerly listened to by many in their homes, while travelling, on farms. An especially appreciative audience is found among the many retirees who enjoy living here. Hamilton is our latest re-broadcast station which began in 2018 and covers approximately the northern half of the city with interference from another station affecting coverage in the south. Matamata is a small but progressive town in dairy country near the centre of the North Island of New Zealand. Though small it has worldwide fame as it is also known as Hobbiton: the movie set for the Hobbit village in the Lord of the Rings trilogy is located near here. We are privileged to be able to rebroadcast the True Light FM radio signal to cover this local area. The station transmitts at 88.3 MHz and is run by a small committee representing several church denominations. In the 1830s Matamata was also the home of Tarore, the daughter of a Maori chief. Following her death at the hand of a neighbouring tribe when she was only twelve years of age, her copy of a Maori translation of the Gospel of St. Luke was taken and was used by God for the spread of Christianity as successive Maori owners took it through the bottom half of the North Island, down through the South Island, and eventually to Stewart Island. You can find out more about the story in this YouTube interview. True Light FM went to air in Palmerston North on 15 November 2001. Advances in computer technology have brought many changes to the practical aspects of broadcasting, and since 2008 True Light FM has been streaming its signal from the Palmerston North studio to a wider audience through the internet. 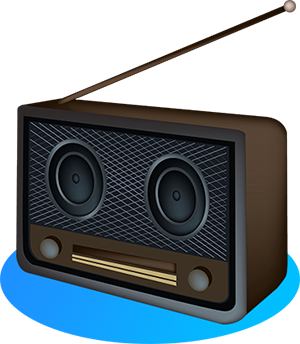 You may find that there are issues with audio streaming on mobile devices. For more information please select Internet Radio under the 'Stations' tab above.